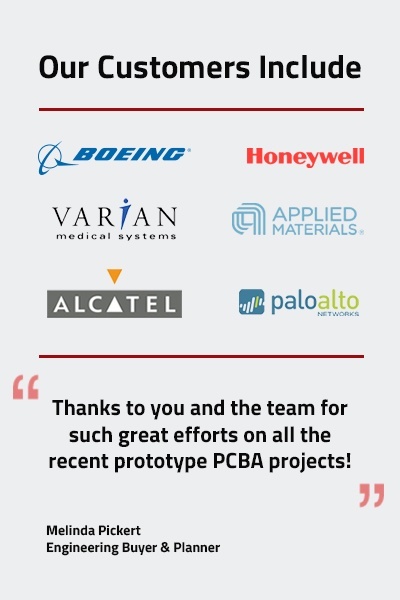 It's a common misconception that PCBA assembly will always be cheaper offshore. EMS companies with large offshore investments will tell you it's cheaper, but times have changed. Benchmarking is a powerful tool for controlling price negotiations. We'll prepare you a detailed benchmark report using objective 3rd party data sources. Use the report to understand your current competitiveness, drive your next price discussion, or see if U.S. manufacturing is a viable alternative for your business. Material Cost: Total cost for all materials, including bare PCB. Placement Count: Total number of placed components. An easy way to get this is to sum the 'quantity per' column on your BOM. EAU: Your estimated annual usage (EAU). We assume quarterly manufacturing lot sizes for this report.